Sitting in stillness, the practice of meditation, and the cultivation of awareness are commonly thought to be the preserves of Hindus and Buddhists. 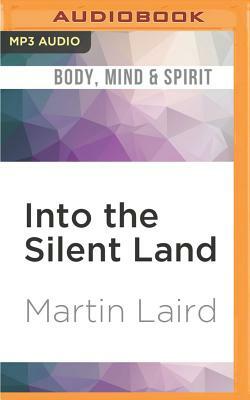 Martin Laird shows that the Christian tradition of contemplation has its own refined teachings on using a prayer word to focus the mind, working with the breath to cultivate stillness, and the practice of inner vigilance or awareness. But this book is not a mere historical survey of these teachings. In Into the Silent Land, we see the ancient wisdom of both the Christian East and West brought sharply to bear on the modern-day longing for radical openness to God in the depths of the heart. Laird's book is not like the many presentations for beginners. While useful for those just starting out, this book serves especially as a guide for those who desire to journey yet deeper into the silence of God. The heart of the book focuses on negotiating key moments of struggle on the contemplative path, when the whirlwind of distractions or the brick wall of boredom makes it difficult to continue. Laird shows that these inner struggles, even wounds, that any person of prayer must face, are like riddles, trying to draw out of us our own inner silence. Ultimately Laird shows how the wounds we loathe become vehicles of the healing silence we seek, beyond technique and achievement. Throughout, the language is fresh, direct, and focused on real-life examples of people whose lives are incomparably enriched by the practice of contemplation.